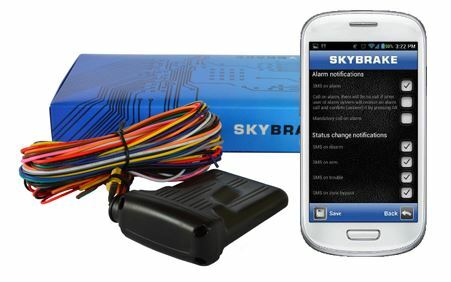 The alarm systems are designed to allow you to self-monitor your vehicle. Receive alerts to your phone, set the alarm and check if you locked it, find out where the vehicle is via GPS, and more. Vehicle security has moved on from standard car alarms and immobilizers coded to your keys. Sophisticated key and alarm code reading, stealing keys to take your vehicle, and hijacking are only some of the areas we are targeting to help customers secure their vehicles. This sophisticated car alarm will compliment an existing vehicles security system or can be fully installed as your sole vehicle alarm system. Equipped with CAN bus the vehicle will identify and alert for door opening, boot, and bonnet. Through a mobile App you can set alerts to come to your mobile phone, arm and disarm your vehicle remotely as well as locate your vehicle. The alarm system is equipped with central locking, alarm disabling with an encrypted changeable PIN code. It also has a GSM communicator and motion sensor. If someone opens a door, bonnet, boot, or there is movement in the saloon, the alarm will be activated and you will receive an alert to your phone.